Here in Sydney, Australia, it’s Jacaranda time! We have a large specimen in our yard, and its glorious flowers are fully out, even starting to drop and form a stunning, purple carpet. There are many of these trees where I live, and they certainly make their presence felt. Some may not like them. They’re messy, shedding tiny leaves, and later, flowers (which can be slippery). But for all that, they are still magnificent. Here in Australia, it’s Jacaranda time. While Grafton, N.S.W., is famous for these striking trees, here in Sydney they are also making eye-catching displays. Driving around the suburbs, one can readily spot the purple/blue flowers still clinging to their maker. The days will pass: these will fall and form a carpet. Those of us with bare, delicate skin had better watch out for busy bees…. 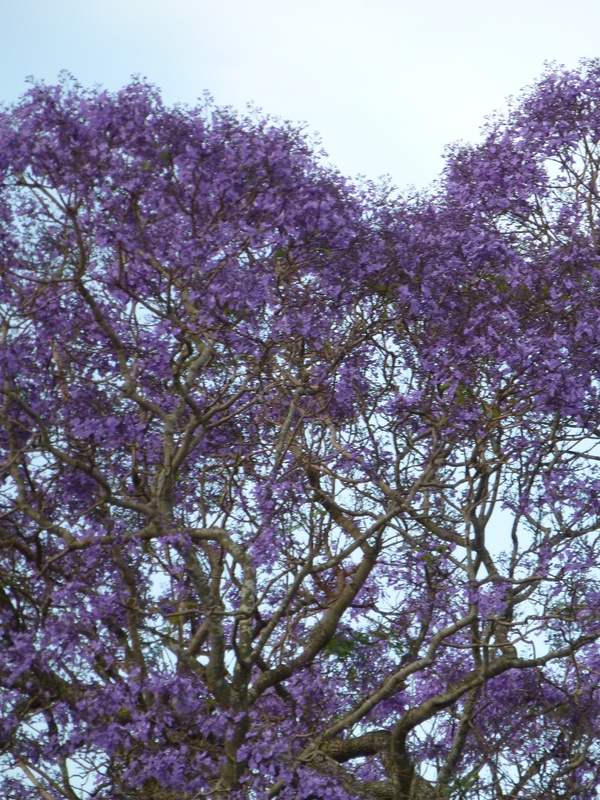 Native to Brazil, Jacarandas come in a multitude of varieties. There is even a white-flowering type named ‘White Christmas’, but it is hard to get in Australian nurseries. 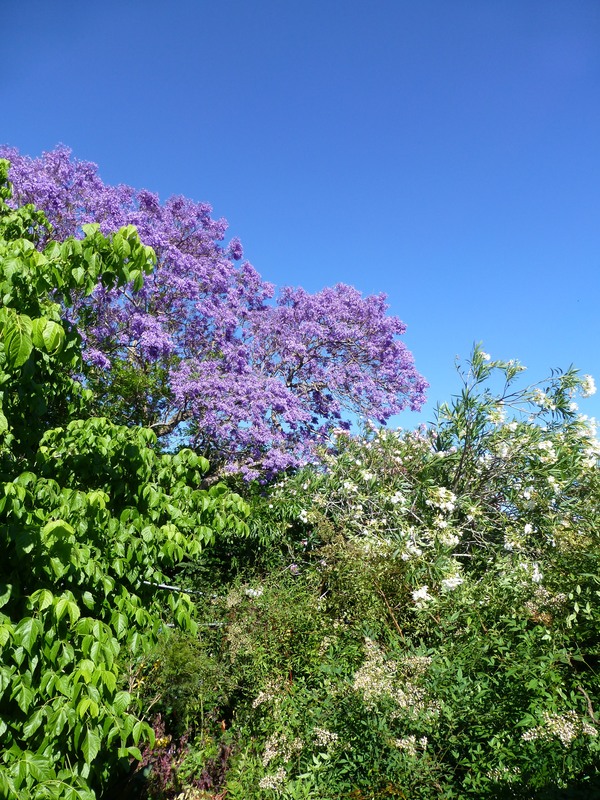 Our eyes are accustomed to one known as Jacaranda mimosifolia: and really, isn’t its purple a lovely shade? This tree has its critics: those who despise fallen leaves and squishy flowers. Please do not count me amongst them.